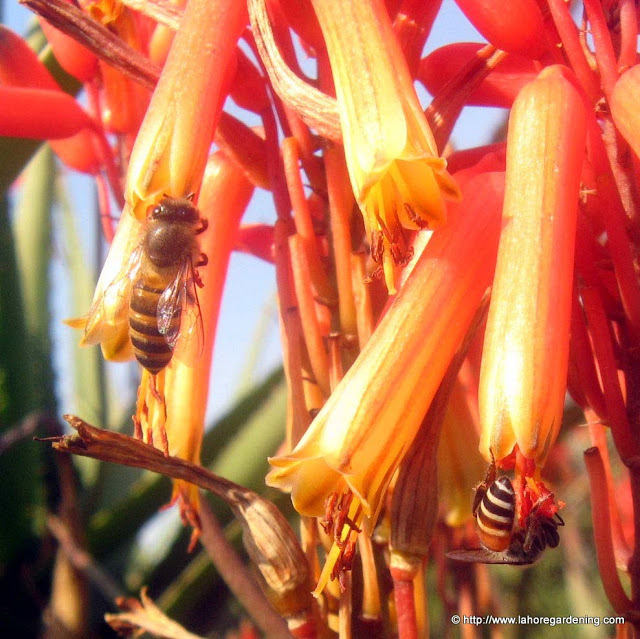 Flowers of Aloe vera. It’s local name is Kawar Gandal. 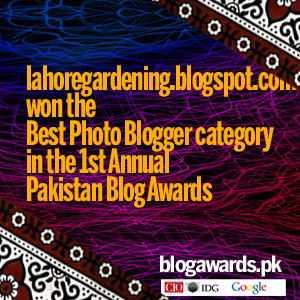 Shot in Model Town Park, Lahore. Famous for its medicinal properties, it also has culinary uses. There are many plants growing wild in lahore. Some of them are outside the barni garden in lahore near Governor house. 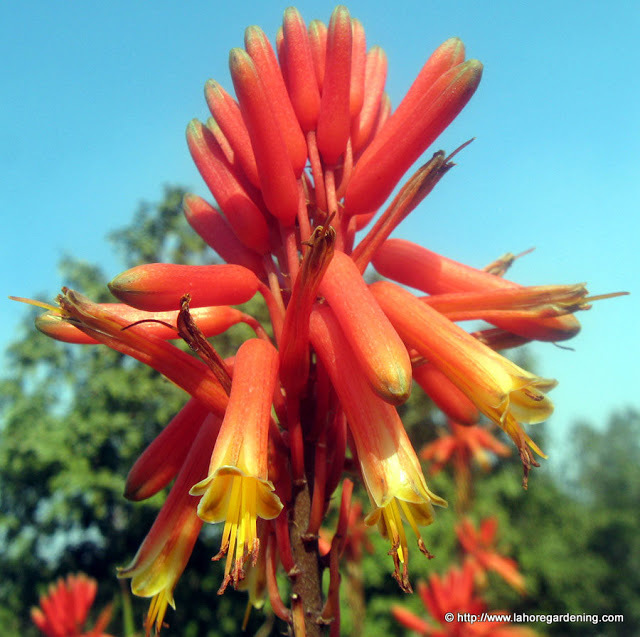 Let me share some Aloe Vera blooms with my readers. There are many other flowers blooming all around the world. To see them visit Today’s flowers. Beautifully captured. I have never seen aloe vera flower in real life before. So pretty. If you like to, please join us for “Seed Week” and share your experience with us. Great macro shots of flowers and flying friends. Thanks for sharing. Wow!! 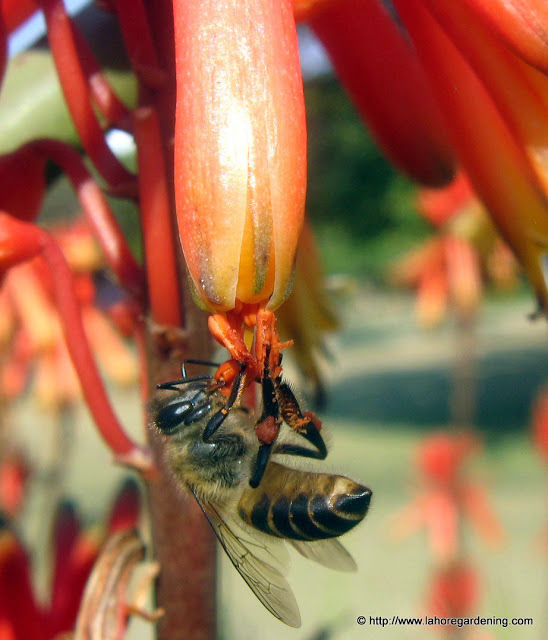 I love how the bees are doing their thing…..the first pic is really neat. 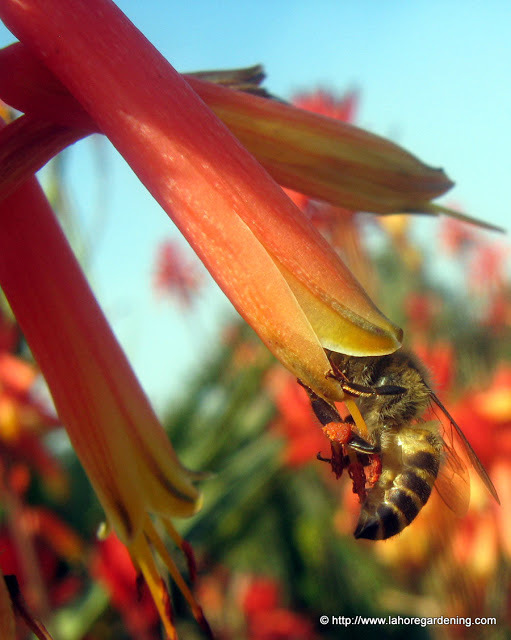 Beautiful shots… I wonder if the bees crawl up along the funnel to the base of the flower…. My flower contribution, have a great week ahead! Superb details in these macro images. The colors are splendid too. Great photos… beautiful blossoms and so popular with the insects. I’ve noticed when I trim away the dead blossoms that the sap from the stems really can heal a scratch…almost overnight!!! Beautiful flowers and the bees are super. You’re very brave getting that close to them. Great macro of the flower, the bee is eye candy. I’m glad I stopped by today. I don’t know if aloe blooms here. I haven’t had one bloom. Those blooms kind of remind me of those on mother of thousands plants. I love your photos, and the bees are awesome! The first photo makes me think the bees are having a party in there and they are all trying to fit! Verynice shots. Fotos lindas, originais e coloridas!